It’s that time of year, to join thousands of football fans at Boone Pickens Stadium to cheer on the OSU Cowboys on Saturday, April 20th at 1 pm! If you want to be in-the-know, you&apos;ve come to the right place - we have the top five tips to get the most out of the OSU Spring Football Event experience. 1. IT&apos;S FREE! Yes, you read that right – the OSU Spring Football Event is free to the public, as well as free parking! With the exceptions of Lots 4 & 10, parking will be open throughout campus and a parking map can be found HERE. 2. From 11 am until the game starts at 1 pm, fans can enjoy season ticket sales, inflatables, face painting, and free giveaways on the south end of the Sherman Smith Training Center. Plus, you can check out a car show for OSU-themed cars in the parking lot west of Boone Pickens Stadium. 3. Listen in! Just in case you can’t make it to Stillwater until football season, the spring game will be broadcast live on the Cowboy Radio Network with Dave Hunziker, John Holcomb, and Robert Allen. 4. Get on the Field! Fans will have an opportunity to join the OSU Cowboys on the field after the game. Fans will be able to interact with their favorite players, grab some autographs, and maybe even toss around the football. An announcement will be made when it is time for fans to come onto the field once the game has ended. 5. There’s even more to do! 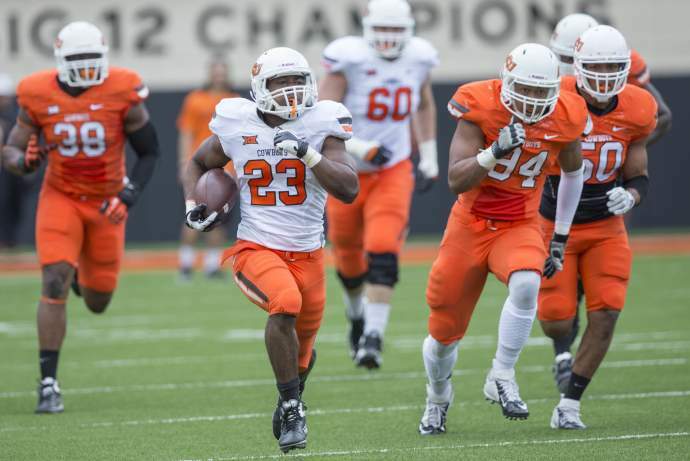 OSU’s Spring Game occurs during one of Stillwater’s busiest weeks – one we like to call Legends Weekend! 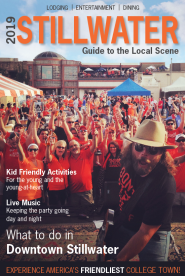 Not only are there plenty of OSU sporting events during Legends Weekend, there is also the Remember The 10 Run, The Wall That Heals, 42nd Annual Stillwater Arts Festival, food trucks, live music, and more happening April 19-21, 2019. Check out all of the events at VisitStillwater.org/Legends! Find the full schedule of events for the Cowboy&apos;s Spring Football Weekend here!